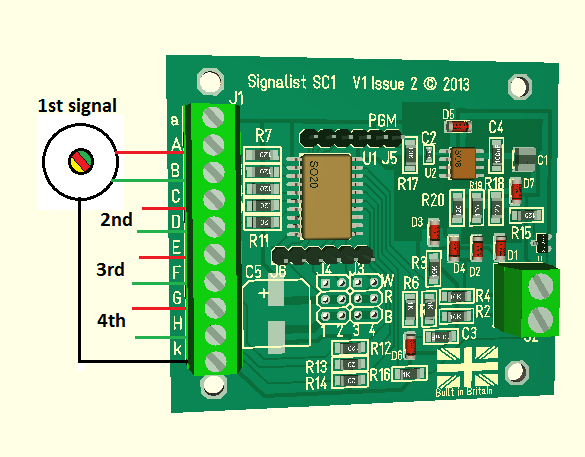 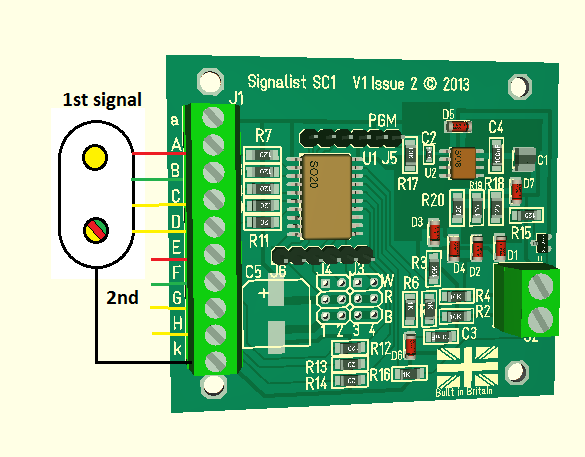 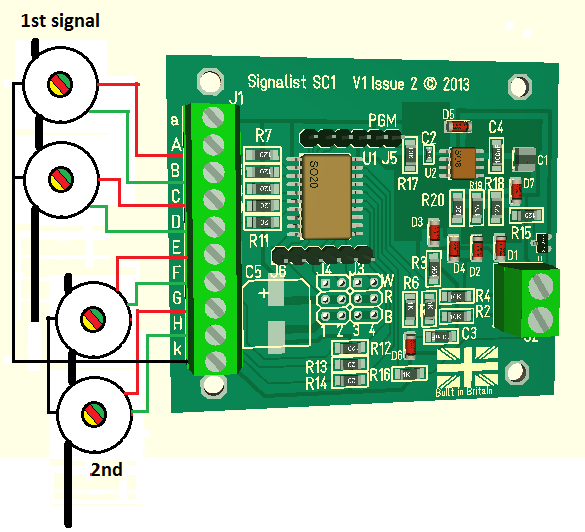 The signalist SC1 is ideal for the connection of UK coloured light signals. 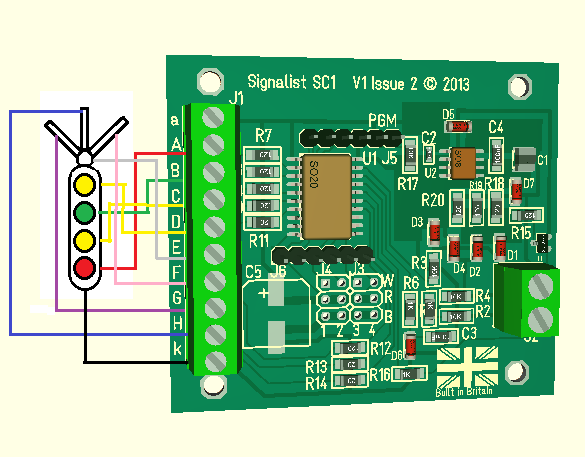 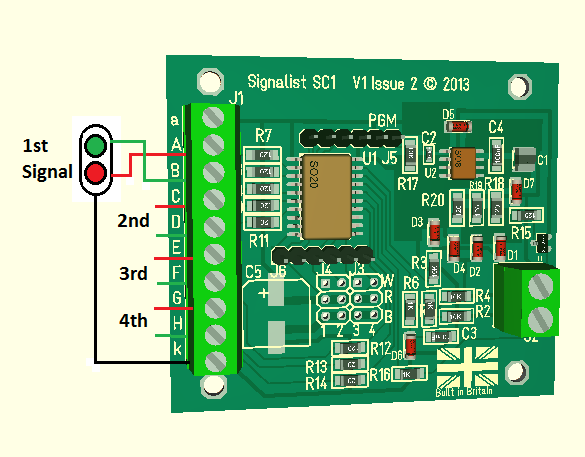 It is compatible with any signals that use LEDs and includes built in configurable current limiting. Most forms of signal LED wiring are supported including common anode, common cathode and inverse parallel. In addition it is possible to control each LED individually or create user defined configurations. 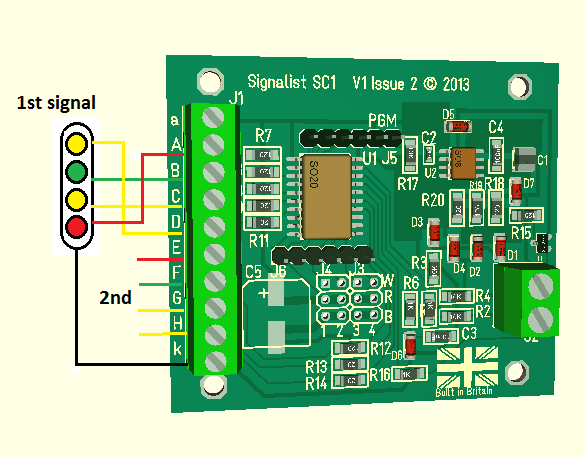 See the relevent page for more detailed configuration information.